Journeys — Querido Representation Co.
Travel is inspiring for everyone when you find the right place to be and explore. This post is the first of many, where we'll take you to all our destinations and discover some truly unique and beautiful spots in Europe. We'll start our first journey from London to Puglia, to the most genuine and understated places in our destinations; a journey to our Unique Stays! Day 1 : Arrival day in London. San Domenico House, located in the heart of the fashionable Chelsea, is probably one of the very last contemporary hotels in central London with such a storied heritage. To walk into the townhouse hotel is to experience a world which perfectly balances history and tradition, English eclectic design with a glamorous Italian ‘La Dolce Vita’ flair. It is a hotel with history but perfectly suited to the modern day. Experience: Enjoy the view of London from the 135m tower, the London Eye, which stands as the world’s largest cantilevered observation wheel. Go shopping at Harvey Nichols a boutique-style department store loved by those in the fashion know, the shop was originally founded in 1831 as a linen shop… Visit the Victoria and Albert Museum which was founded in 1852 and named after Queen Victoria and Prince Albert, still, stands as the world’s largest museum of decorative arts and design. End the night in the West End watching one of the so many amazing theatre shows! Eat: Dinner at The Cross Keys Pub. From innovative, seasonal dishes to pub classics and Sunday roasts served with a choice of real ales, wines or cocktails, The Cross Keys offers the perfect British pub experience. Day 2: From London, England to Lisbon, Portugal. 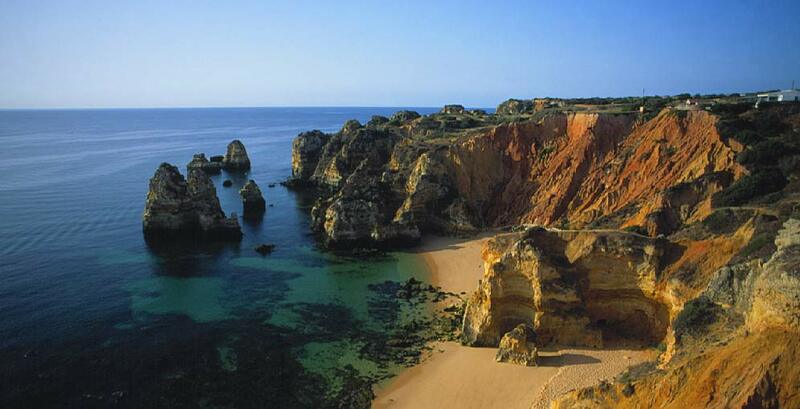 Portugal, the oldest country in Europe with the same define borders since 1139 and its Alentejo region are home to São Lourenço do Barrocal, a fascinating Monte, an ancient small farming village in the same family for over 200 years, which has been brought carefully back to life as a remarkable hotel of understated luxury. Jose Antonio, the last generation of this family, has invested the last 14 years in creating this undiscovered jewel surrounded by olive groves, vineyards (both wines and olive oil are produced on property and are excellent) and 'Barrocais' (wonderful stone formations). Experience: Visit Monsaraz a hilltop castle with stunning lake views. One of the oldest settlements in southern Portugal, Monsaraz retains the marks of hundreds of years of raging battles, conquerors and revenge, all crammed up in its fortified hilltop castle. Climb up and awe at the view. For those loving silence and universe's mysteries, relax on the shores of Alqueva Lake, the biggest artificial lake in Europe, where there's an immense clear sky by night to watch the stars, a privileged location within Europe for stargazing. Eat: Enjoy dinner at Sabores de Monsaraz , one of the best places to experience a traditional Alentejo meal. Mrs. Isabel is the owner and also the person responsible for all the amazing dishes that come out of the kitchen. Also, not to mention is the superb view over the Alqueva lake! Fascinated by the undiscovered Maratea, the only coastal part of the Basilicata region facing the Tyrrhenian Sea, located between Campania (Amalfi Coast) and Puglia, we arrive at Santavenere, the perfect destination for those who love the seaside, lush nature, Italian traditions and simple but elegant lifestyle. Piero and Francesca, the owners, charm you instantly since you step into their beautiful 'home'. The Porto (harbour) and the town up on the hill with 44 churches add that amazing local flavour we are always looking for. Experience: Hike up the Monte San Biagio to the Statue of Redeemer. The lookout at the foot of the statue is the most scenic spot of the whole territory of Maratea with an exceptional 360° view of the magical outline of the coast and inland mountains. At night, embark on a picturesque local fishing boat for a night fishing experience. Eat: Dinner at Taverna Rovita Situated in one of the most evocative alleys in the old town center of Maratea, the main dining room is beautified with artistic potteries, typical Vietri floor, and an old fireplace. Dishes are cooked following the ancient recipes of the Lucanian tradition and to enhance the flavours of the land and the sea. From the first hole of the San Domenico Golf Course, one can already catch a glimpse of a red tower in the distance, which stands out against the intense blue of the sky and the sea that surrounds it. One is driven by curiosity while approaching it and only at the 8th hole you reach it. 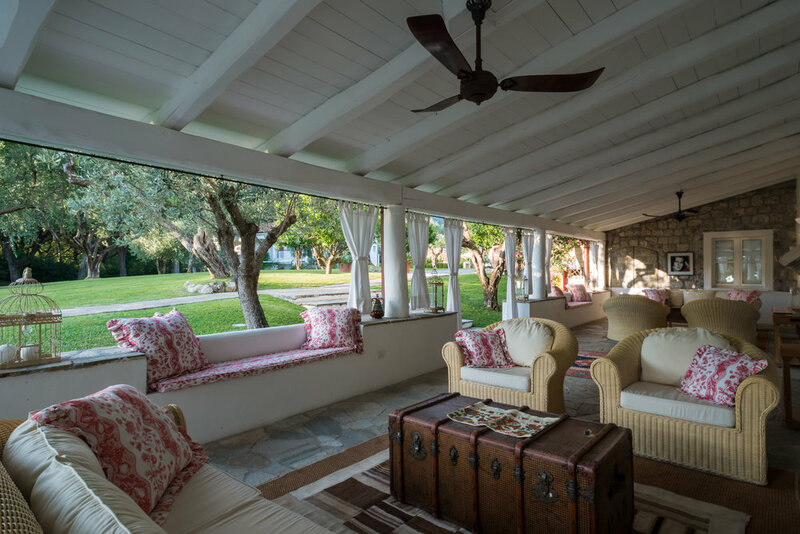 It's the Masseria Cimino, an 18th Century building, now consigned to San Domenico Golf as its guest House, for those passionate golfers who can’t envisage being too far away from the course. Experience: Play a round of golf on the beautiful San Domenico Golf course. Explore the surrounding area by bike and discover this uncontaminated landscape that is rich in colors: from the crystal clear blue of the Mediterranean Sea to the green of the olive groves and rosemary, to the intense red of the magnificent sunsets. Eat: Dinner at Pescheria due Mari. Located right in the center of the tiny town of Savelletri di Fasano, Pescheria due Mari is a family-owned and -operated restaurant currently run by a father-daughter duo, who work side-by-side, with the father preparing the food and his daughter serving and practicing her English. The menu is seafood-only and the specialty is raw fish. Everything on the menu is spectacular, but opt for the daily special, which features the freshest fish of the day. The tiny restaurant boasts a small dining room, but the sprawling alfresco terrace is the best place to eat thanks to the beautiful views. A sunset aperitivo here is a must! Masseria Le Carrube is a typical Masseria (farmhouse) with a traditional tile roof, whose walls have the inner side with the stones in view and the external side whitewashed. Only 6 km away from Ostuni downtown, it is situated at the feet of the hill on which “The White Town” rises up as a background, in a secluded and exclusive area characterised by the colours and the flavours of the Maquis shrubland, the typical vegetation of the Mediterranean region. Experience: Lovers of local gastronomy should know that Ceglie is a land to award-winning restaurants, Cisternino’s ‘braceria’ (brasseries) are a ‘must-try’, Torre Guaceto is renowned for its ‘fiaschetto’ tomatoes and Altamura for its DOP bread. Puglia is also known for its culture and magnificent landscapes, for the Swabian castle at Andria (hunting home of Frederick II), for the ‘trulli’ and for Mount Sant’Angelo, one of the oldest Michaelic cult sites and a Unesco World Heritage Site. The Baroque from Lecce, the measured elegance of Otranto (the easternmost city on the Italian peninsula), the ‘cummerse’ of Locorotondo and the overlooking views of the sea at Polignano offer truly unique panoramas. Eat: Dinner at Il Frantoio. 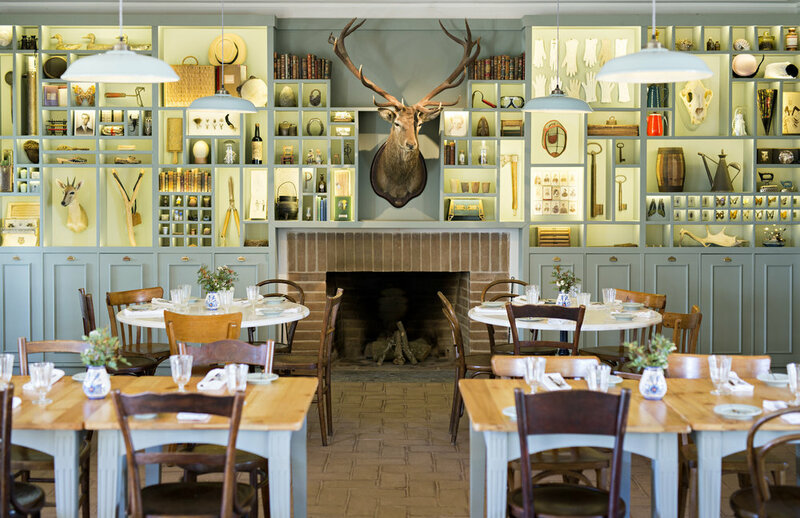 Located in the countryside of Ostuni, the restaurant is based on a country farm. The dining room has vaulted ceilings and stone floors. 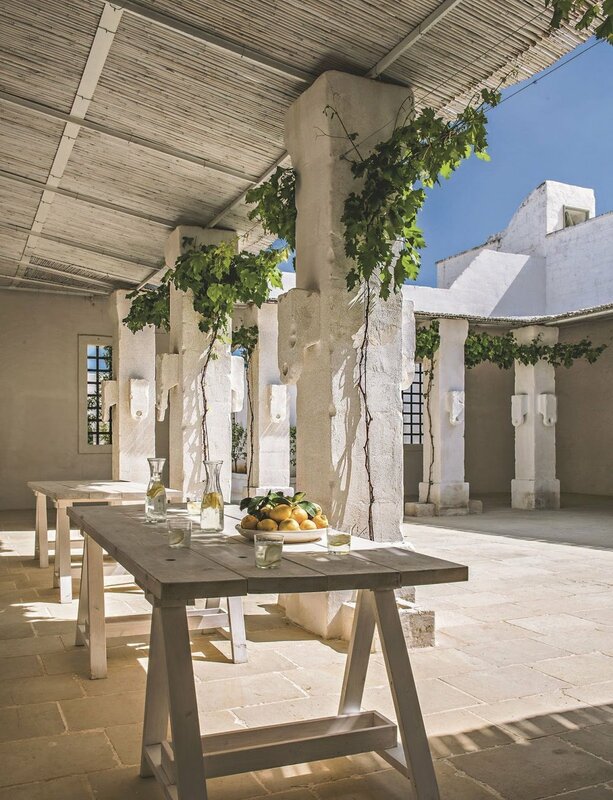 The perfect place to taste the typical Apulian cuisine and its old recipes savouring the many courses of their tasting menu. We don’t have chefs in our kitchen but extraordinary women who know how to cook with the heart of a mother and the passion of a soul of southern Italy.